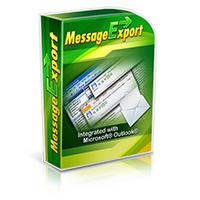 Microsoft Outlook is a terrific email client, and hundreds of millions of us live and work in Outlook each day. Outlook tells the story of our work and personal lives. Our Outlook calendars tell us where to go, synch with our mobiles, and embody the story of where we've been and where we're going. Our Outlook emails hold the ongoing stories of our friendships and our work lives, our hopes, dreams, accomplishments and frustrations. Our Outlook contacts are our lifeblood to our social lives, allowing us to connect with whose important and meaningful. Yet for all of the information that flows into Outlook, it's not always very easy to get information out of Outlook. That's peculiar, since it's not called INlook -- it's OUTlook. We should be able to get stuff out of Outlook when its convenient to do so. This blog will examine software and methods that will help us extract our important content from Outlook, and show us how we might convert it to whatever format we require. Join us regularly as we start up this new blog! Please feel free to suggest software and tips in the comments.